After the critical acclaim and numerous awards won for Whiplash and La La Land, it’s clear that Damien Chazelle has become one of the most prominent directors of the decade. However, his next big break will not come from a musical set or J.K. Simmons’ verbal tirades, but rather the final frontier. First released last Friday during “Jimmy Kimmel Live,” Universal Studios has since debuted the trailer for Chazelle’s latest film and second collaboration with Ryan Gosling: First Man. 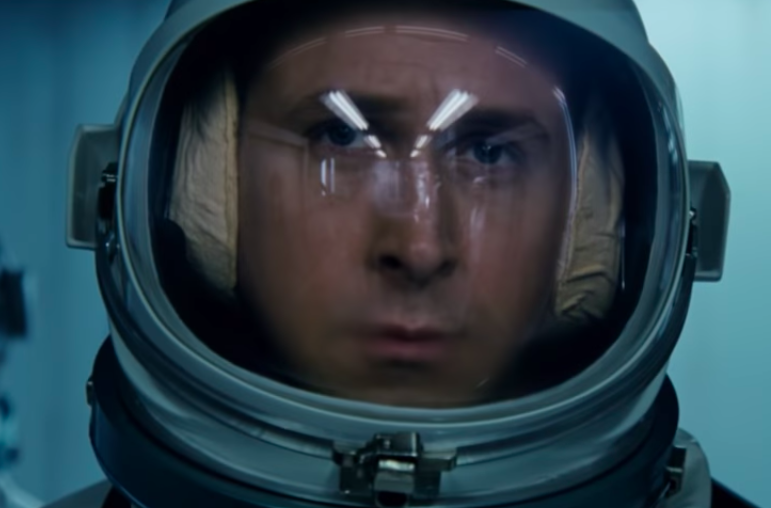 First Man, as the title suggests, will be a biopic about the life of Neil Armstrong (played by Gosling) and his involvement in NASA’s attempt to land a man on the moon. Claire Foy will also star as Armstrong’s wife Janet, whose interactions with Gosling highlight their marriage difficulties that took place during his aerospace preparations. However, the most unique aspect of this trailer is its dark tone, creating a foreboding atmosphere that contrasts with the whimsical vibe one might expect from a space movie. The film is clearly highlighting the unpredictable dangers that accompanied the Apollo 11 moon landing’s goals, as noted by questions Neil is asked by the press and even his own family regarding his survival. 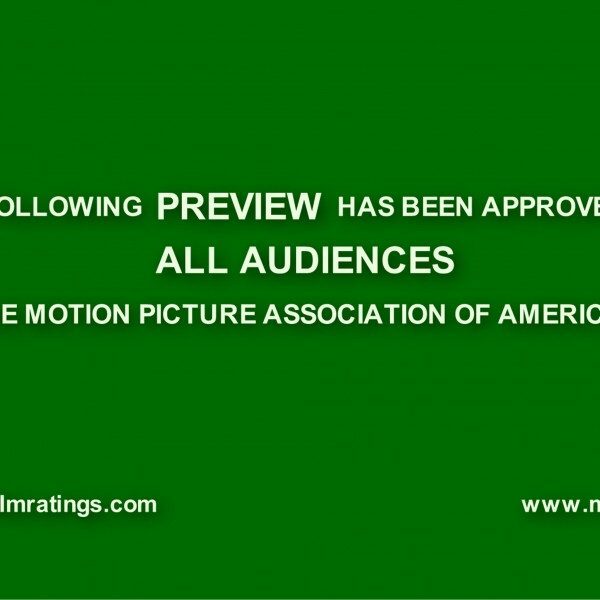 As a way of immersing audiences into the mindset of men who had yet to attempt such a feat, this makes for an effective trailer. 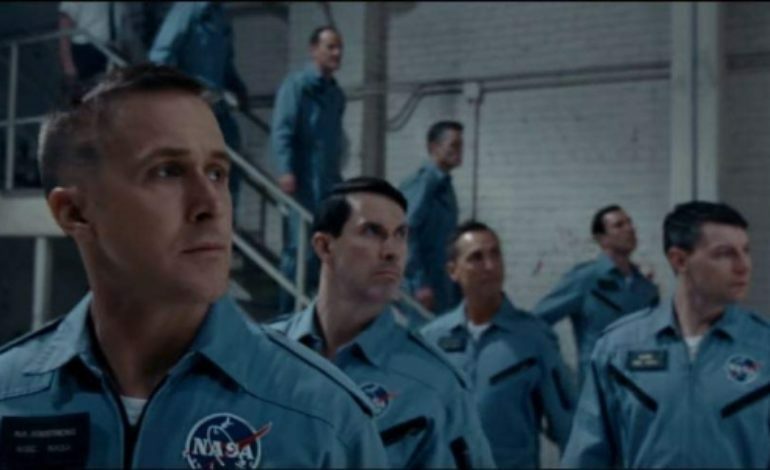 First Man is based on Armstrong’s official biography First Man: The Life of Neil A. Armstrong, written by James R. Hansen. Alongside Gosling and Foy, the film will star talents like Pablo Schreiber, Kyle Chandler, and Jason Clarke. Check out the official trailer below.